Baton Rouge Vascular Specialty Center (VSC) is recognized as a premier provider of vascular treatments in the southern Louisiana area. Each year, we treat thousands of patients who have a variety of vascular issues, including complex cases that require only the most experienced, specialized surgeons. 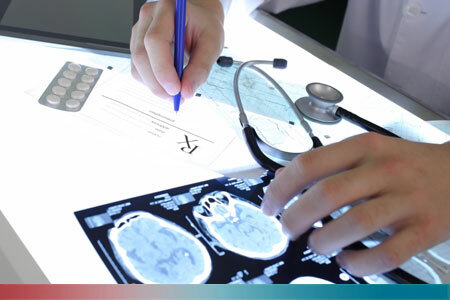 Our highly trained vascular specialists, with the support of a professional medical team, provide treatments for all non-intracranial and non-cardiac arterial and venous conditions. Our comprehensive approach to treating vascular disease saves valuable time and minimizes any risk to you. We specialize in finding the least invasive, most effective treatments for our patients. Many procedures that previously required an open surgical operation with several days in the hospital and an extended period of recovery can now be done as outpatient procedures, with no incisions and a much quicker recovery. Each patient is unique and will require a personalized treatment plan. Every effort is made to find the least invasive, most effective options for the individual patient. We can go over the specifics of our recommended treatment strategy for you after we have an opportunity to review your issues, history and results from diagnostic testing. Transcarotid Arterial Revascularization (TCAR) – minimally-invasive alternative for patients with carotid artery disease who are at risk from the traditional, more invasive surgical approach of carotid endarterectomy (CEA). Click here for more information. Angioplasty and stenting, including endovascular stenting – With expert skill and innovative methods, we can restore blood flow and insert stents to maintain full vascularization. Endovascular stent graft – We can position stents from within blood vessels themselves to keep blood flowing and reinforce weak spots in arteries. Aneurysm repair, including AAA – We can repair weakened, bulging arteries, including the abdominal aorta… often from within the artery itself. Laparoscopic aortic reconstruction – We can restore function to a damaged aorta using minimally invasive surgery. Atherectomy and endarterectomy – We can remove obstructive deposits in large arteries, such as in the neck or legs, using the skills we have acquired through our specialized training and vast experience. Thrombectomy and embolectomy – We can remove dangerous blood clots and reduce your health risks using today’s latest, proven techniques. Plaque removal and revascularization – Our specialists can restore blood flow by removing built-up plaque. Grafts – We are highly experienced at selecting, harvesting and grafting blood vessels to bypass problem areas or blockages. Dialysis access procedure – We have specialized training and are exceptionally skilled at fitting patients needing dialysis with access ports. Pharmacologic therapies – Although we are surgeons, we are knowledgeable and experienced at managing certain patients and problems with medicines, when it is appropriate and effective to do so. To schedule a consultation or learn more about our treatment options, call (225) 769-4493 or request an appointment online now.